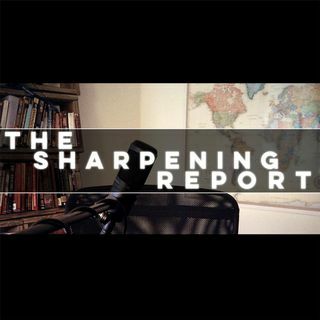 http://SharpeningReport.com PLEASE SUBSCRIBE, LIKE, AND SHARE! Tonight we welcome special guest Mark Combs to the show to talk to us about his book "End the Beginning". Everything from the flood to Noah to Planet X is covered in this interview. Segments in the show include "The Black Live Matter Movement" by correspondent Parker J. Cole and "The Dangers of Fast Food" by correspondent Christina Peck. This is definitely an episode you will not want to miss! 6:52 – Why Write about the Flood?